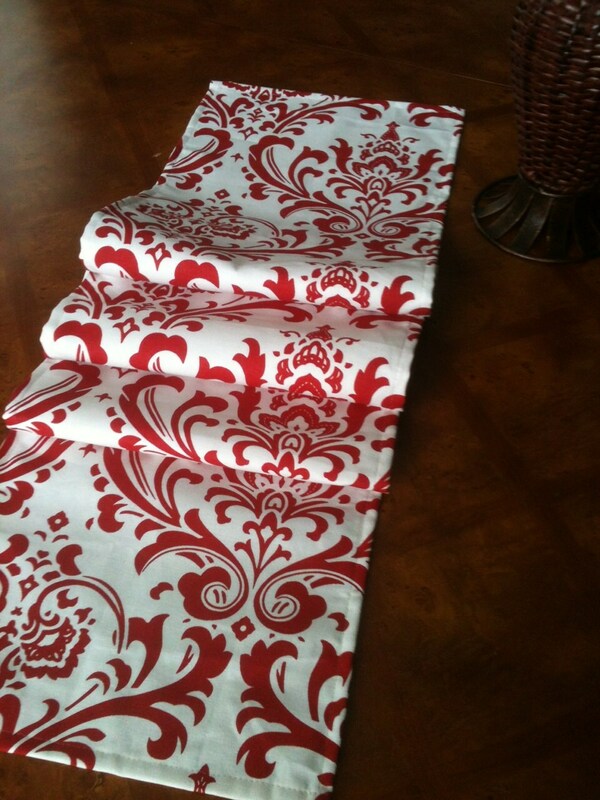 This beautiful red and white damask table runner is perfect for dinner parties, Thanksgiving, Christmas, and other holiday dinners. It is functional year round on your table. Runner is lined. 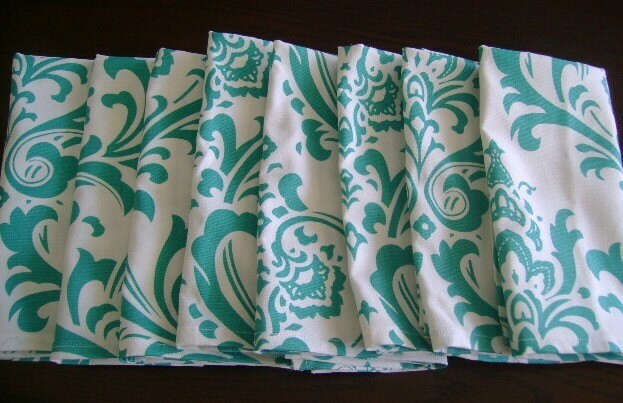 12" wide x up to 76" long. 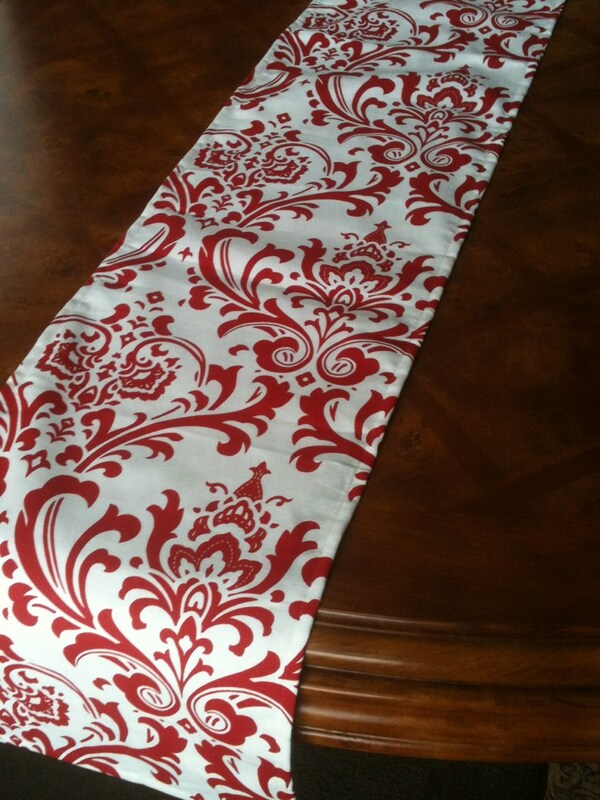 We can do custom napkins to match in red and white damask or coordinating prints, message us for details.